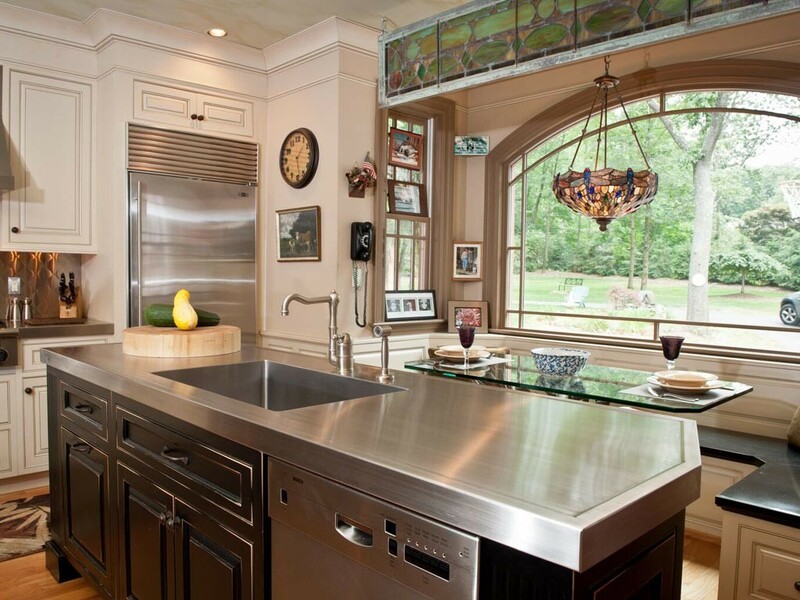 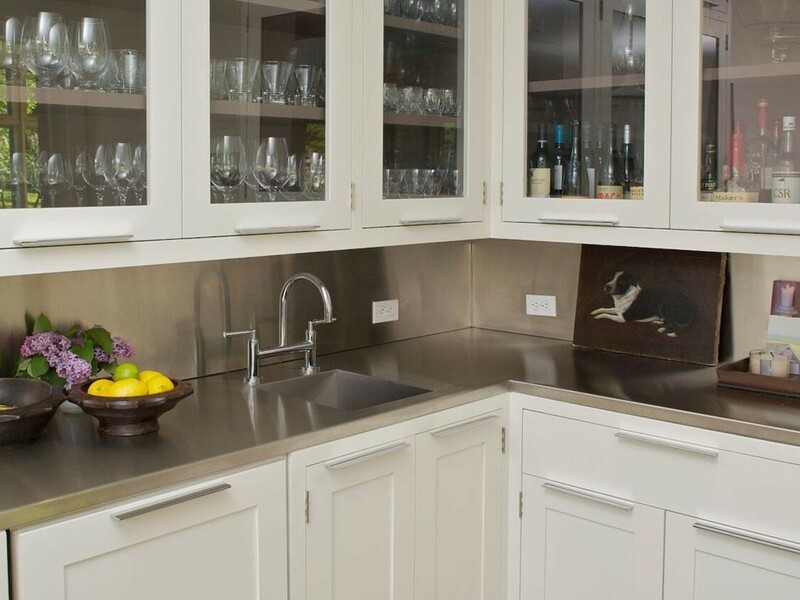 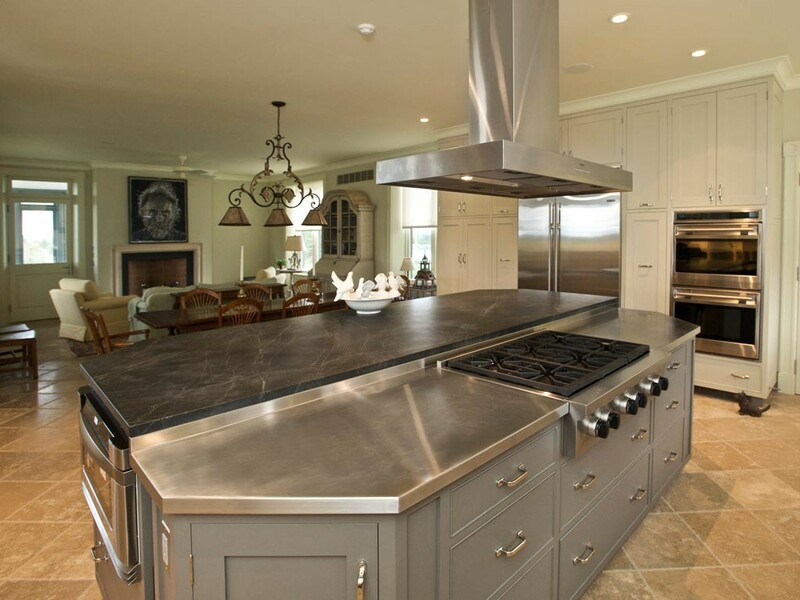 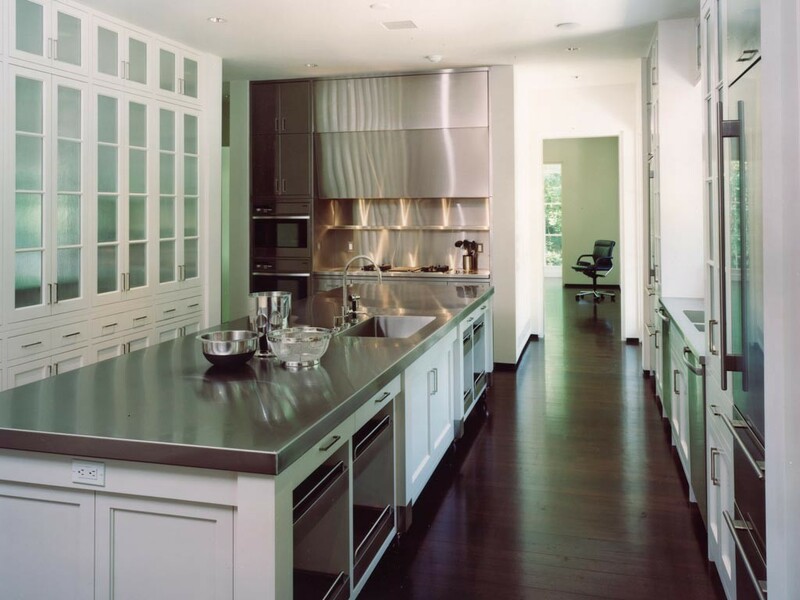 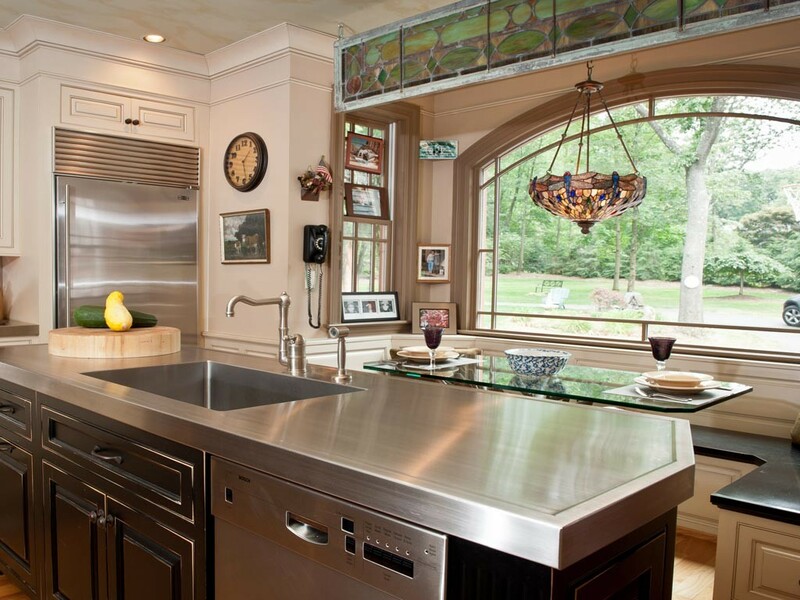 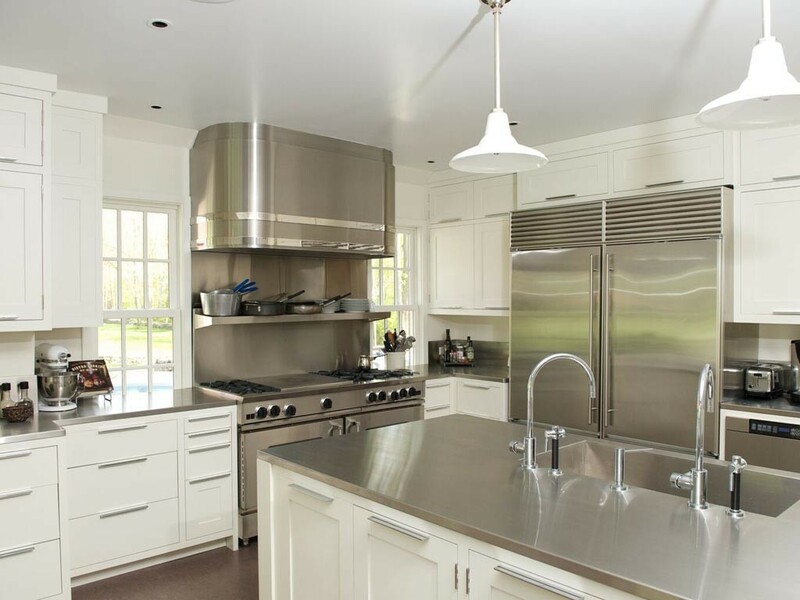 Our countertops combine the durability and beauty of a finished metal surface, creating a lasting addition to any kitchen. Many can be crafted with a living finish that fosters a unique, natural pattern as they age. 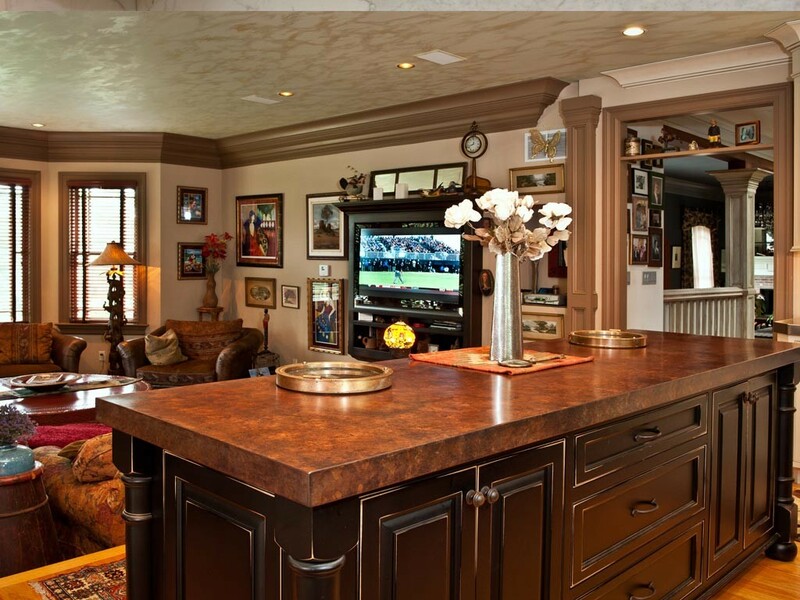 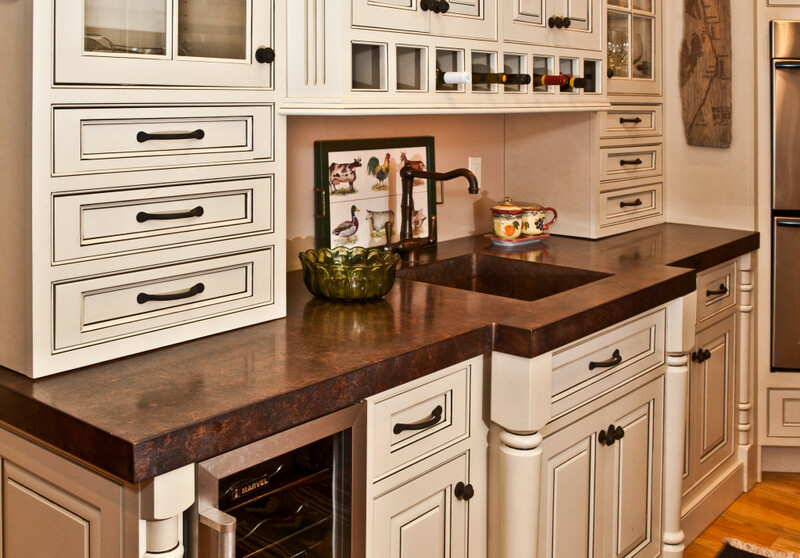 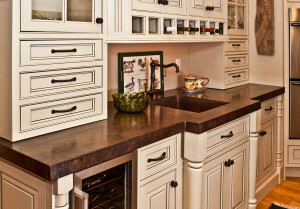 Any of our counters can be easily refinished at any time. 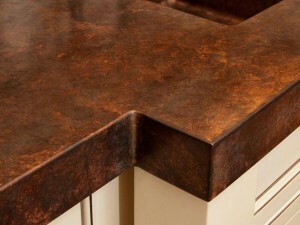 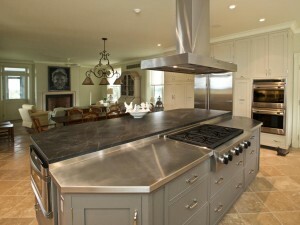 Integral Backsplash: available in a matching or custom finish. 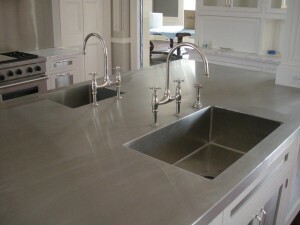 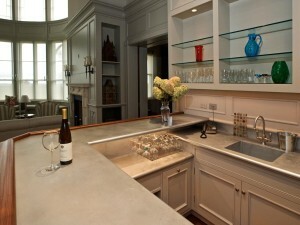 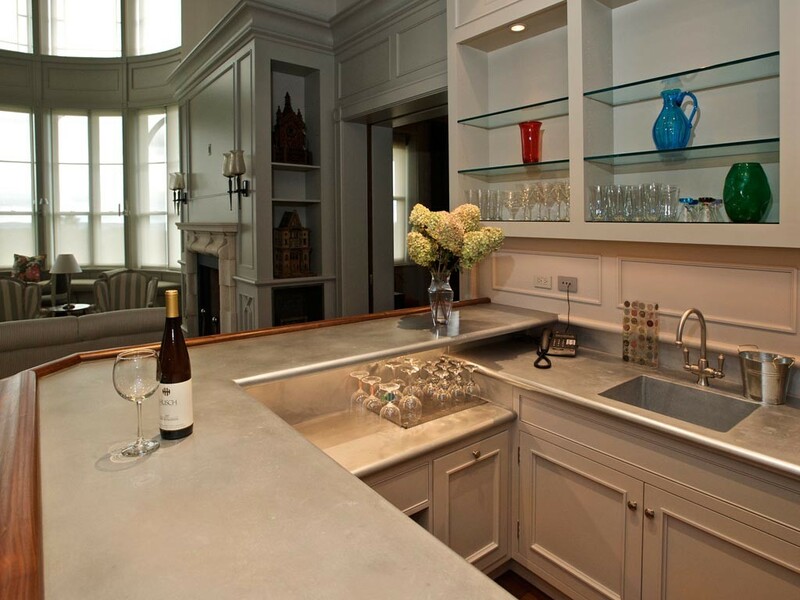 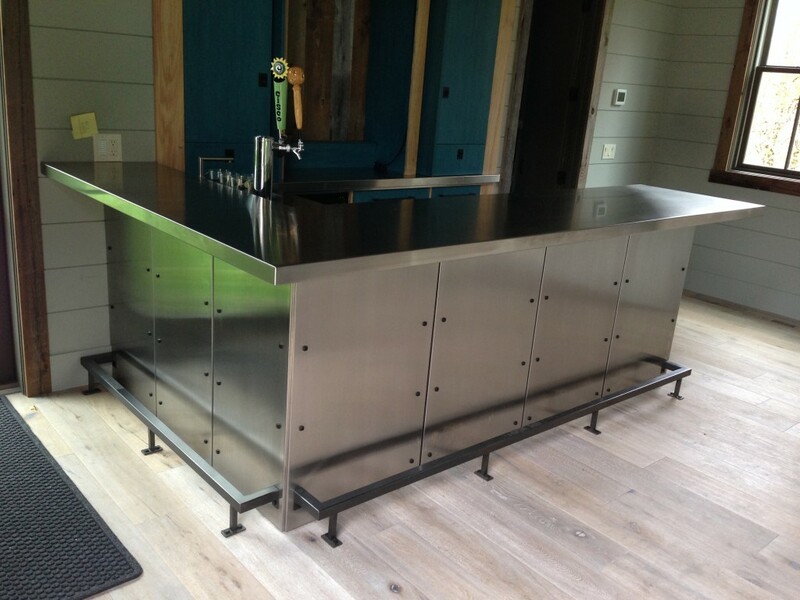 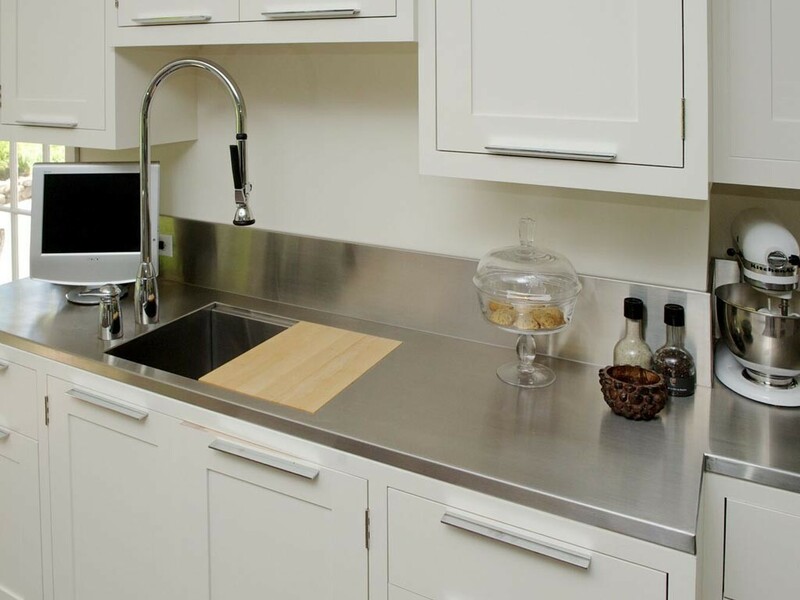 Integral Sinks: provide your own sink or design a custom Focal Metals sink to be built into the counter. Integral Drain Board: a subtle, functional addition.